During the 2018 National Symposium, Design, Community, and Progressive Preservation, all of the participants in Exhibit Columbus’s 2019 exhibition will take the stage for their first public conversations as a group. Before they create temporary installations that will be on view during next year’s exhibition, these international leaders will visit Columbus, present their work, and to get to know the community. The J. Irwin and Xenia S. Miller Prize Recipients—Agency Landscape + Planning, Bryony Roberts Studio, Frida Escobedo Studio, MASS Design Group, and SO-IL—will participate in a conversation moderated by Sean Anderson of the Museum of Modern Art on Saturday, September 29 from 4:30–6:30. The Washington Street Civic Project Leaders—Borderless Studio, Extrapolation Factory, LA-Mas, People for Urban Progress, and PienZa Sostenible—will participate in a conversation moderated by David Rubin of Land Collective on Saturday, September 29 from 11:00–12:30. The University Design Research Fellows will participate in the Afternoon Conversation: States of Design Education at The Republic Building on Thursday, September 27 from 4:00–5:00. Register for the 2018 National Symposium online by September 19. (Note: Tickets will be available on-site as availability permits.) 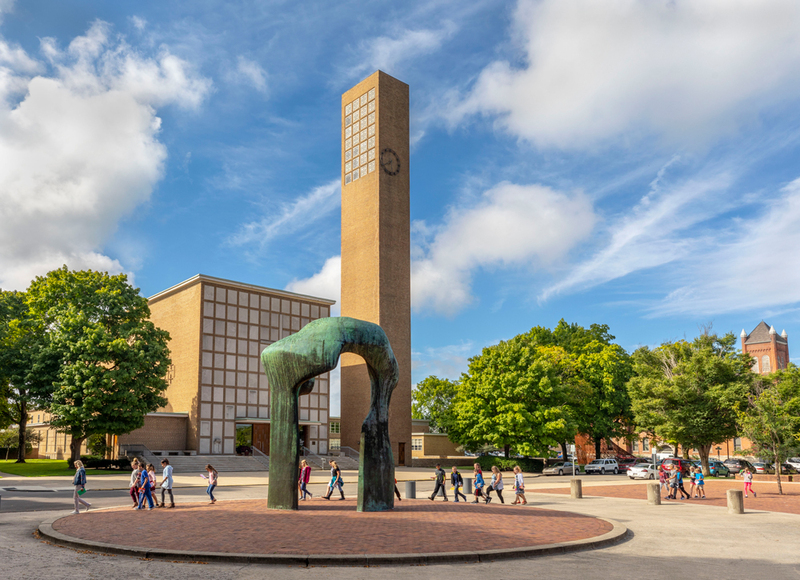 The symposium is produced in collaboration with Docomomo US, the American Institute of Architects Indiana and Kentucky Chapters, and Newfields.